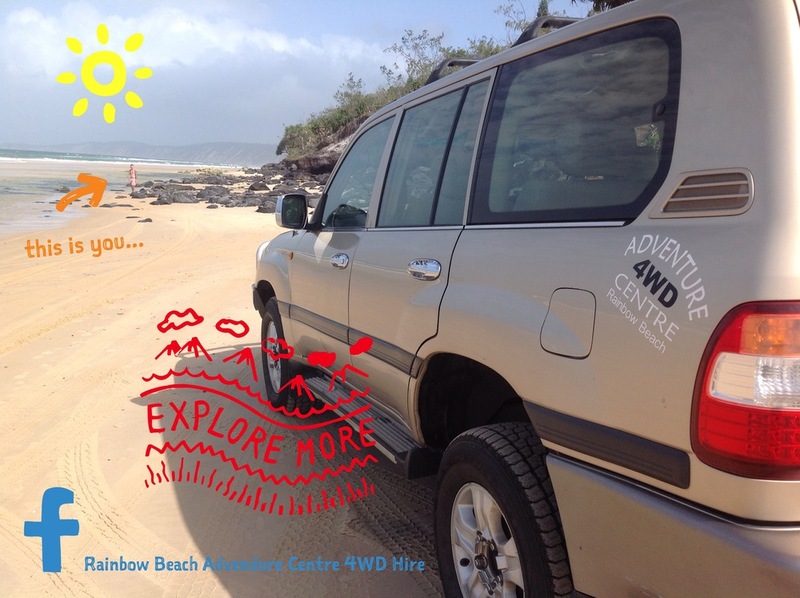 Whether driving on Fraser Island or Rainbow Beach vehicle access permits are required. These beaches are gazetted which means Australian road rules apply. Observe road signs and note regular Police patrols (whether 4WD or horseback!). Drive to conditions, where beach driving is recommended during the low tidal window. 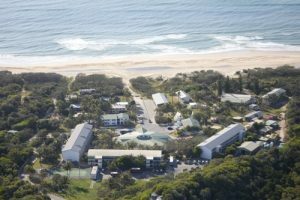 Tide times are provided by the Bureau of Meteorology and the general rule of thumb is 2.5 hours either side of low tide renders beach access – providing between 5-6 hours daily. Whichever the predominant tide, whether high or low, tide times move forward approximately one hour every day. Always check with manufacturer’s recommendations when deflating your tyres. We keep to the general 22 psi on our fleet with off road tyres. Taking a compressor is not a bad idea so that pressure can be varied according to conditions. Avoid saltwater like the plague. Despite the plethora of pictures, video footage and even off road advertisement! plunging vehicles through saltwater causes irreversible, irreparable damage. Even salt spray up into the engine bay sees the lifespan of your alternator and starter motor shortened by 80%. If anyone is wondering, no you can’t just rinse it off, the damage is done. Freshwater isn’t necessarily your friend either. 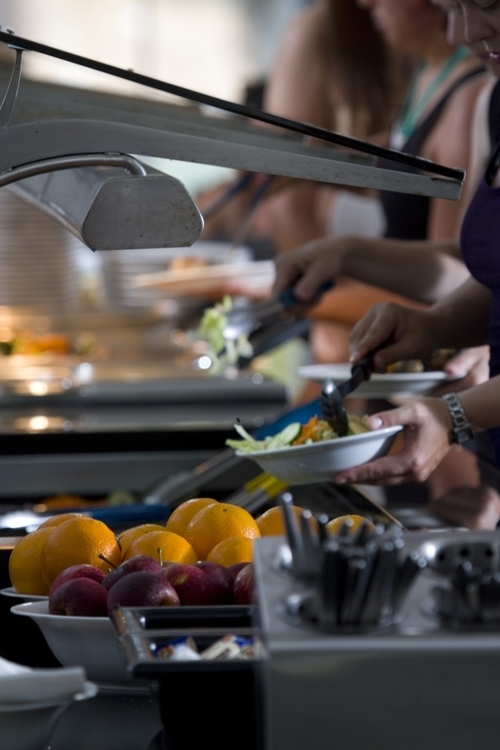 Whatever the flavour, cold water on a hot surface brings about contraction which assists in grease and lubricants being expelled and in turn allowing water to be drawn in. As a consequence components are left unprotected and ultimately fail way before their use-by date. Alternator bearings, A/C bearings and pulley bearings are among the most susceptible. Lift kits and raised suspension are definitely worth considering, particularly if wanting to explore off the beaten track on a regular basis. Up to 40mm will not void your manufacturer’s warranty or draw the ire of Department of Transport. It’s easily done and relatively inexpensive. Rust proofing varies in format and application between electronic or chemical barrier. Whichever way you decide, it’s a worthwhile investment if plentiful beach driving is on your agenda. If not, know the flush points of your vehicle! 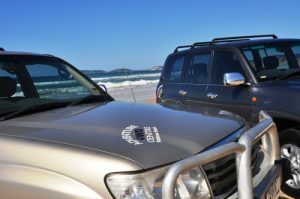 We are delighted to partner as Eurong Beach Resort’s exclusively contracted 4WD supplier via Rainbow Beach. 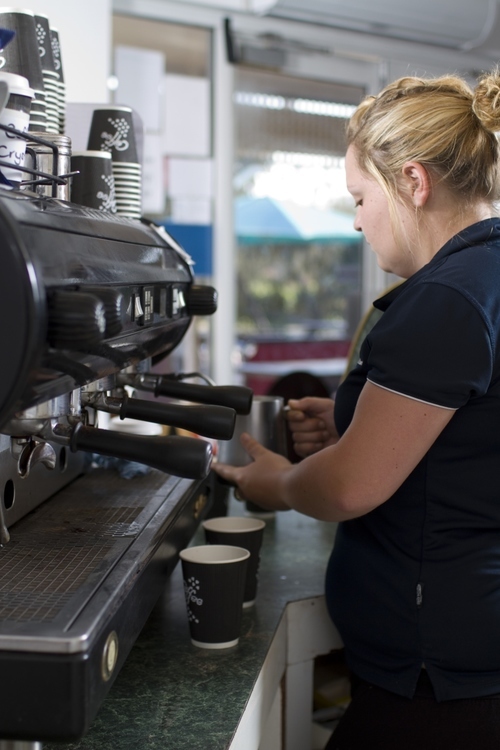 This means we are at your service packaging the ‘one stop shop’ accommodation and travel experience when visiting Fraser Island. 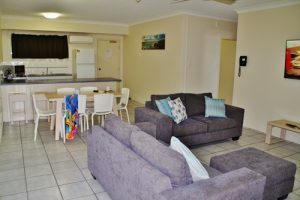 We will take care of your accommodation, barge ticket, vehicle access permit and of course 4WD hire. 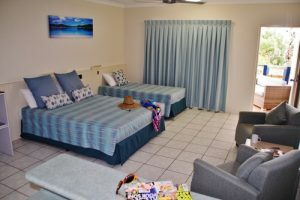 Eurong Beach Resort is ideally situated on the eastern beach of Fraser Island with close proximity to popular inland destinations such as Lakes McKenzie, Birrabeen and Boomanjin featuring the tropical rainforest canopy of Central Station and Wanggoolba Creek. Lake Wabby is surrounded on one side by the massive Hammerstone Sand Blow and on the other side by eucalypt forest. This is an example of a barrage lake, formed when a creek became blocked by a shifting sand dune causing the water flow to be dammed. Its emerald green waters are home to 13 species of fish. Access by foot from the eastern beach is 45 minutes. 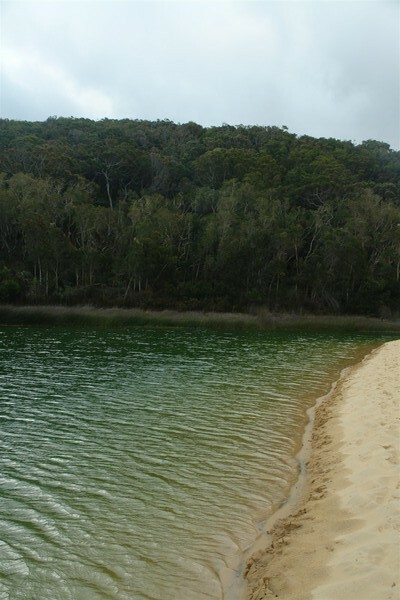 Lake Wabby, emerald green in colour is unique to Fraser Island. This volcanic outcrop is the only rock formation on Fraser Island jutting out approximately 200ft above sea level and lies approximately 95kms north of Hook Point (ferry access point via Rainbow Beach). Sailing past in 1770 Captain Cook named it Indian Head as he observed native Aboriginals on its peak. Today it continues to be a vantage point for fishermen (hunting in the protective waters the rock provides for prey) as well as keen sightseers wishing to glimpse migrating humpback whales between August and November (heading north from the antarctic to have their young in the calm waters of Hervey Bay). The only rock formation on Fraser Island Indian Head provides an excellent lookout vantage point. Thirty minutes inland at Central Station awaits the magical experience of Wanggoolba Creek. A twenty minute walk along the purpose built board walk allows visitors to marvel at the slow flowing crystal clear freshwater introducing a number of species of fish, turtles and eels. 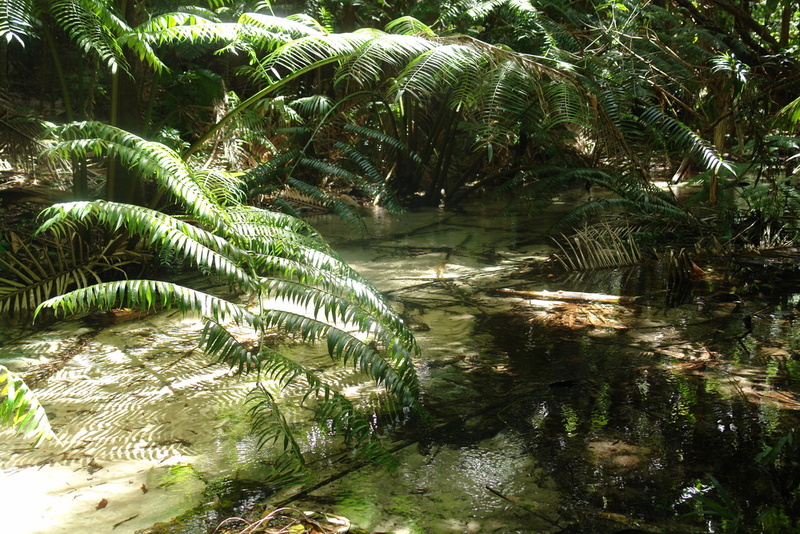 Flora lovers will enjoy stopping at the viewing platform of the Angiopteris evecta King Fern growing directly in the creek, its root structure supported by the water (due to its primitive origins). 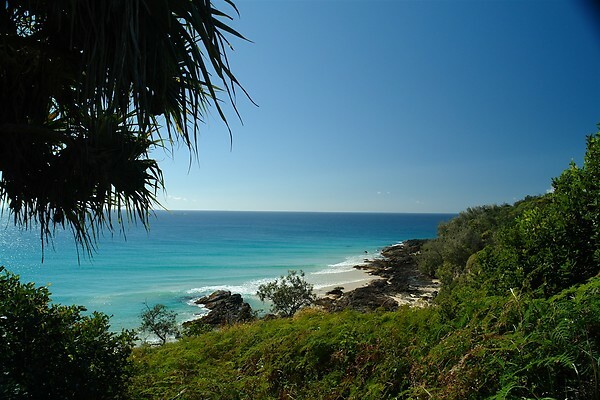 This specimen is extremely rare and cannot be found anywhere else on Fraser Island, providing a unique opportunity to observe prehistoric plant life. Those with more time can continue to Pile Valley and Lake McKenzie for the full walking experience deep into the tropical rainforest. As Fraser Island’s creeks flow silently over sandy beds, they spring from a huge underground acquifer which holds about 30 times more water than Sydney Harbour. The creek water remains at a reasonably constant temperature of 18 degrees celsius. Hundreds of creeks spill over the beaches of Fraser Island one of the biggest and most beautiful being Wanggoolba Creek which flows from the rainforest near Central Station to the west coast of the island, south of Kingfisher Bay Resort. Wanggoolba Creek at Central Station gives you an idea of how pristine this environment actually is. 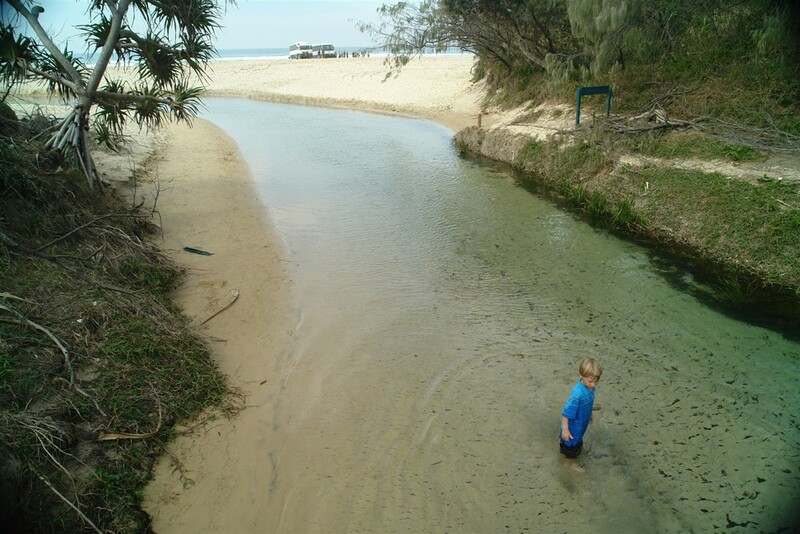 Eli Creek is the largest freshwater creek flowing freely out on to Seventy-Five Mile Beach at a rate of approximately 4.2 million litres of water every hour. 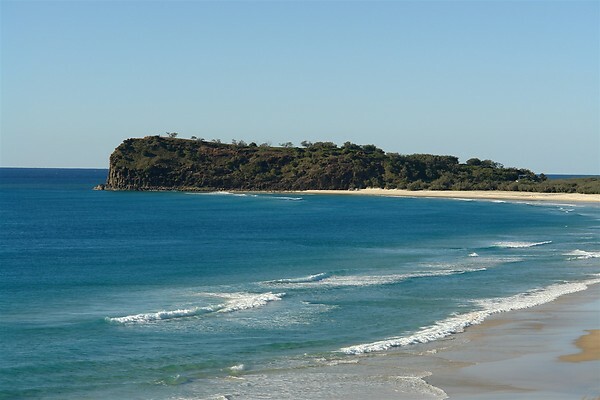 Situated on the east coast of Fraser Island, north of Happy Valley it provides the ideal freshwater dip and exploration opportunity. A timber walk-way and bridge make for easy access and is extremely popular with day trip visitors. The largest of freshwater creeks flowing into the Pacific Ocean is Eli Creek – excellent spot for a cool water dip. The SS Maheno, a shipwreck on Seventy Five Mile Beach at Fraser Island connects Australia and New Zealand with the ANZAC’s at Gallipoli. ANZAC Day was borne out of the campaign on the Gallipoli Peninsula in 1915 when the Australian and New Zealand armed forces combined their efforts to overrun the Turkish army. While the campaign did not achieve the intended goal the conduct of the ANZAC’s indelibly shaped the Australian and New Zealand nations. Before her tours of duty the Maheno was owned by the Union Steamship Company of New Zealand and more significantly for 2015, it marks the centenary of the landing at Gallipoli, as it was the New Zealand Hospital Ship Maheno (NZHS Hospital Ship No 1) in WWI. The New Zealand Hospital Ship Maheno collected both Australians and New Zealanders from ANZAC beach in 1915. After the withdrawal from Gallipoli and for the duration of WWI the Maheno collected the wounded of all nationalities from the major battle fields of France and transported them to Britain for further care. So many owe their lives to the dedication and efforts of the medical teams and the hospital ships including the Maheno. The SS Maheno, launched in 1905 operated as a passenger ship primarily on the cross Tasman run between Australia and New Zealand. The Maheno held the speed records for almost two decades. Following the start of WWI, the Maheno was chartered by the New Zealand government and converted to be HMNZ Hospital Ship No 1. Much of the medical equipment on board came from public appeal. The first voyage of the Maheno as a hospital ship was from 7 July 1915 to 1 January 1916, arriving at ANZAC beach in Gallipoli for the first time on 26 August 1915. Normal service duties resumed after the war. On 3 July 1935 the Maheno left Sydney under tow after having being sold to a Japanese shipbreaker. On the afternoon of 7 July while about 50 miles from the coast the towline parted during a severe cyclone. Attempts to reattach the towline failed in the heavy seas and the Maheno with eight men aboard drifted off and disappeared. 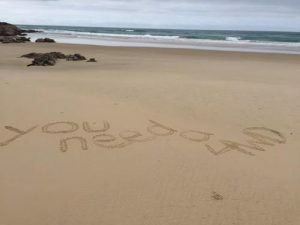 The Oonah, the former Bass Strait ferry towing the Maheno and also destined for the Japanese shipbreaker, broadcast a radio message requesting assistance for the Maheno, whose propellers had been removed. The ship was finally found on 10 July by an aircraft piloted by Keith Virtue beached off the coast of Fraser Island. The crew of the Maheno set up camp onshore, waiting for the Oonah to arrive, which it eventually did on 12 July. The ship was subsequently stripped of her fittings but attempts to refloat her failed and eventually the wreck was offered for sale but found no buyers. The SS Maheno is named after a small New Zealand community between Dunedin and Christchurch. The original SS Maheno ship’s bell has hung at the Maheno (Primary) School in New Zealand since 1967. The bell was removed before the ship was sold to be scrapped and retained by the former owners of the ship Union Steamship Company of New Zealand until the bell was donated to Maheno School. And so the gallant shipwreck of the SS Maheno has been resting on the eastern beach of Fraser Island since 1935. No doubt many have memories of its early landing and the subsequent ‘land mark’ it created. It has been the subject of many an avid photographer with literally dozens of postcard designs having been produced over the years. One of our facebook fans, Steve Gilbert, recalls fond childhood memories clambering over the wreck on his Fraser Island camping holidays. Thanks Steve for your insight…what a fantastic adventure, camping AND a shipwreck, Ahoy Matey! 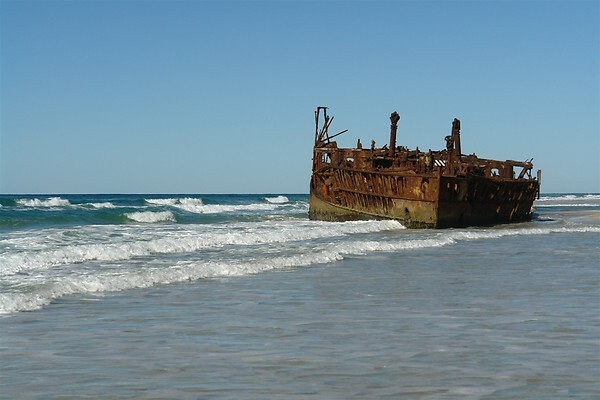 The SS Maheno – shipwrecked on Fraser Island since 1935.